Thread: Diy cheap night vision scope? Anybody done a cheap diy night vision scope setup? 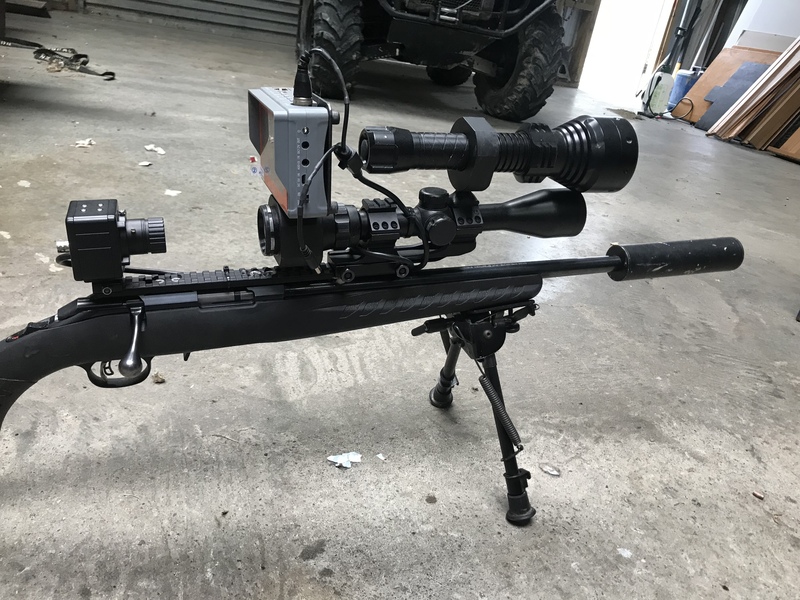 Leupold lto with an adjustable mount.... Not designed to be mounted but sure it would go well on a 22. The advantage of a cascade tube base night vision camera is it can be sensitive enough to use without an IR torch target illuminator. The advantage of that is that if the deer are equipped with night vision sights they cannot see an infrared torch and take you out with a well-placed head shot. This is called passive night vision. "Active" night vision, that is, with an IR illumination source is cheaper. You won't depend on ambient light, but deer equipped with night vision goggles can now see you from far away. But then again most deer have no money to spend on that sort of equipment. 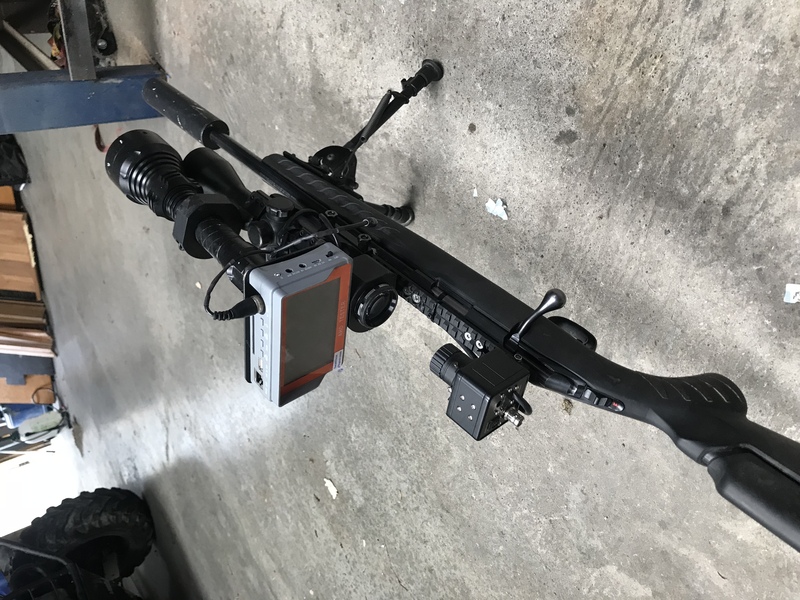 You don't even need a telescopic sight - just draw a dot, cross or circle onto the camera display screen where your bullets impact! You may need a magnifier type lens so you can comfortably view the screen close up. And read up on the law. i could be persuaded to sell my atn, pm me if interested. Yup, I use a torch. 300CALMAN and 223nut like this.